Graded VG 40 by SGC. Extremely attractive N300 Mayo's Cut Plug of Hall of Famer John Ward. This is an incredible example of one of John Ward's most striking cards. Bright and clean, both front and back, with small hints of white showing in the top two corners and along the left edge. 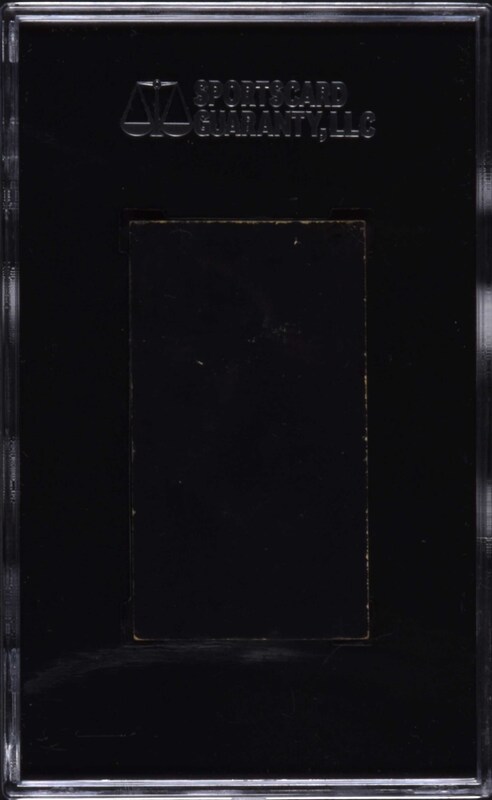 A small area of print defect near the bottom is present but does not detract from the visual appeal of the card. This is an especially fascinating card in that this example lists Ward as "John Ward: Retired." 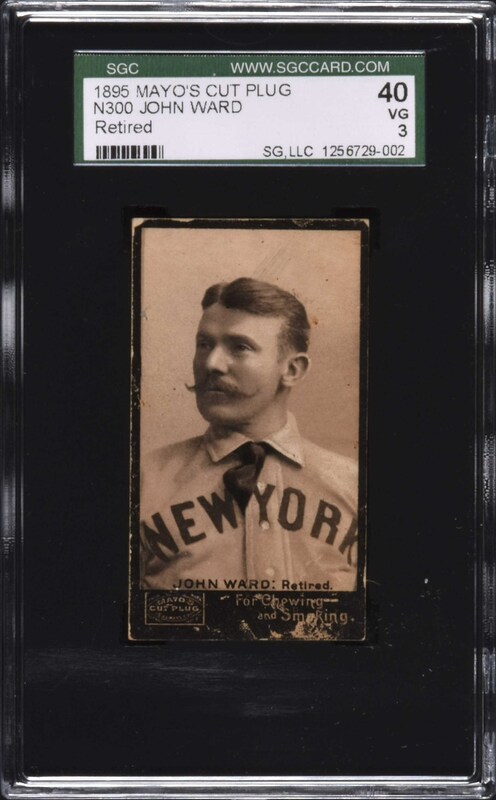 When Ward's card was first issued by Mayo, it listed him as "John Ward: 2nd B.," but when he retired prior to the 1895 season, Mayo changed Ward's position status from "Second Base" to "Retired." This is an outstanding midgrade example of one of John Ward's most majestic and classic cards. Reserve $300. Estimate $500/$1,000+.